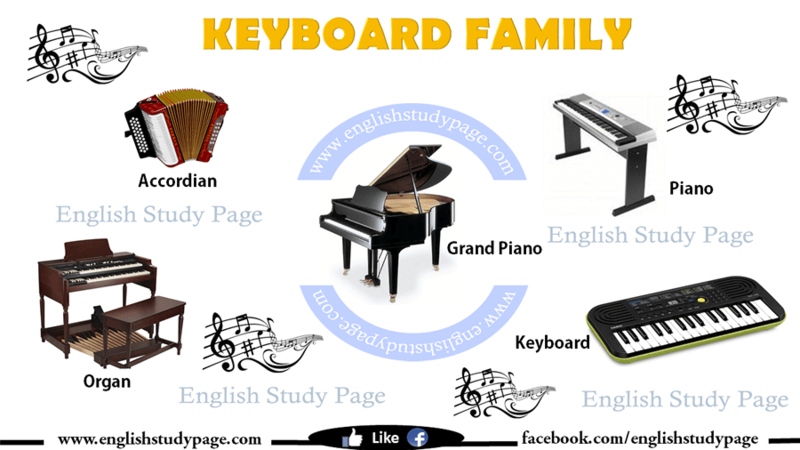 Keyboard instruments are musical instruments that are played by means of a keyboard. Example: The name of this musical instrument is the accordian. Meaning: It is a large musical instrument with a row of black and white keys that are pressed to play notes. Example: I know how to use the piano. Meaning: It is a large piano that has horizontal strings in a case supported on three legs. Example: Can you teach me to play the grand piano? Meaning: It is an instrument consisting of a number of pipes that sound tones when supplied with air and a keyboard that operates a mechanism controlling the flow of air to the pipes. Example: According to me pipe organs are more convenient than electronic organs. 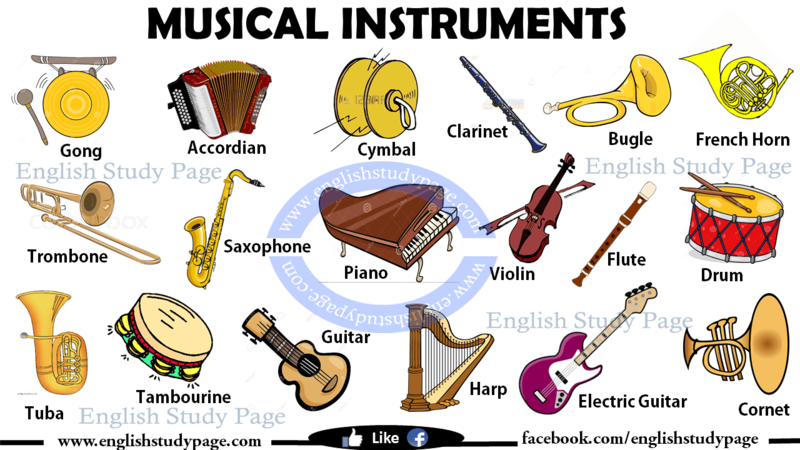 Meaning: It is an electronic musical instrument similar to a piano. Example: The keyboard looks very similar to the piano. 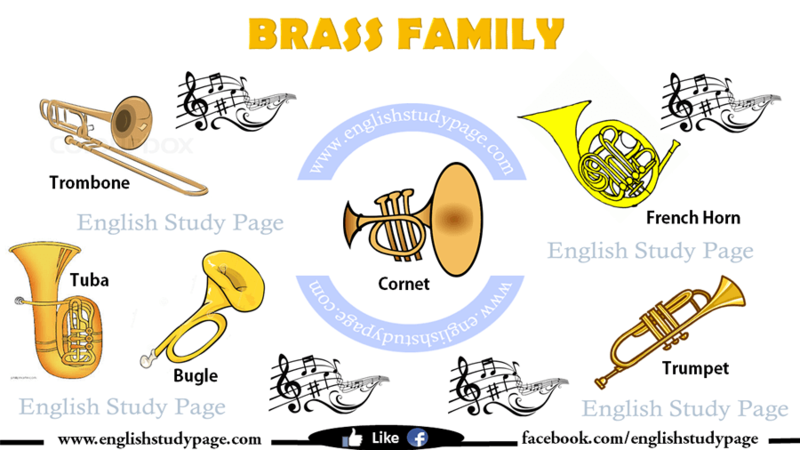 Brass instruments are musical instruments are produced sounds through vibration of the lips and adjustment of the length of the sound tube by means of valves or a slide. Meaning: It is a musical instrument like a simple trumpet. Example: My son wants to buy himself a bugle. Meaning: It is a musical instrument that you play by blowing into it. Example: John is good at playing the cornet. Meaning: It is a musical instrument that consists of a long metal tube bent into circles, with a wide opening at one end, played by blowing down the tube and moving the fingers on valves. Example: The horn is here. Meaning: It is a large musical instrument that you play by blowing into it and sliding a U-shaped tube in and out to change the length and produce different notes. Example: I like very much the sound of the trombone. Meaning: it is a musical instrument with a flared bell and a bright, penetrating tone. The modern instrument has the tubing looped to form a straight-sided coil, with three valves. Example: Could you tell us what you know about the trumpet. Meaning: It is a musical instrument consisting of a long, bent metal tube that the player blows into, producing low notes. Example: The tuba is the largest musical instrument of the brass family. Woodwind instruments are wind instruments whose sound is produced by the vibration of reed(s) in the mouthpiece. The bassoon, clarinet, English horn, flute, oboe, piccolo, and saxophone are examples of woodwinds. Meaning: It is a musical instrument, made of wood, that is played by blowing into it to make a reed vibrate. Example: There are many saxophones in different sizes. 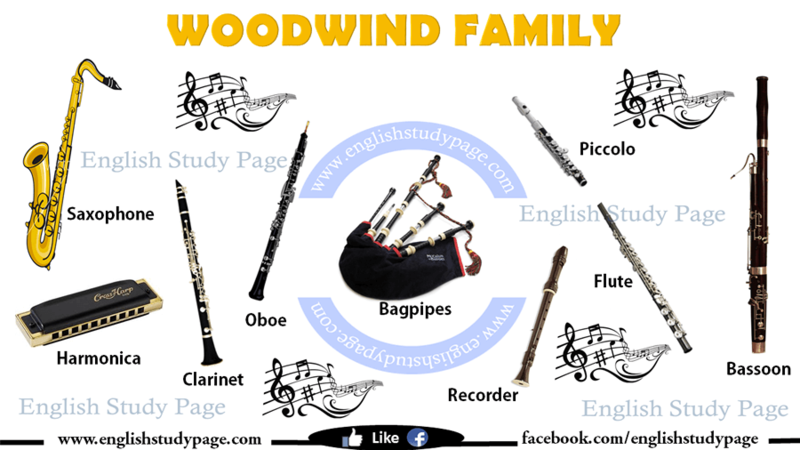 Example: What is your bagpipe made of ? Meaning: It is a large musical instrument that is played by blowing into a long, curved tube. Example: Bassoons are rather short in length. Meaning: It is a woodwind instrument with a single-reed mouthpiece, a cylindrical tube with a flared end, and holes stopped by keys. Example: Is the clarinet the same as a saxophone? Meaning: It is a musical instrument made from a tube with holes along it that are stopped by the fingers or keys, held vertically or horizontally so that the player’s breath strikes a narrow edge. Example: Marry played the flute last night until the guests went away. Meaning: It is a small, rectangular musical instrument, played by blowing and sucking air through it. Example: Harmonica is the best instrument in all musical instruments. Meaning: It is a woodwind instrument with a double-reed mouthpiece, a slender tubular body, and holes stopped by keys. 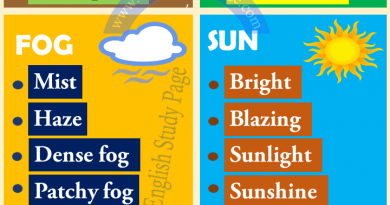 Example: Is playing the oboe hard? Meaning: It is a musical instrument, like a small flute, that makes a high sound. Example: The sound of the piccolo is higher than the the sound of the flute. Example: The recorder is too big. 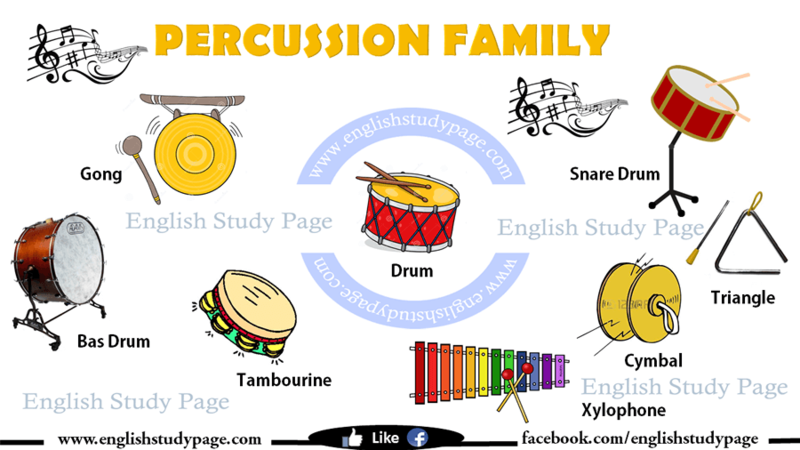 They are instruments, such as a drum, xylophone, piano, or maraca, in which sound is produced by one object striking another or by being scraped or shaken. Meaning: It is a large, two-headed drum that has a low booming sound. Example: The bass drum produce a low sound. Meaning: It is a musical instruments consisting of a slightly concave round brass plate that is either struck against another one or struck with a stick to make a ringing or clashing sound. Example: The cymbal made a loud noise yesterday. Meaning: It is a musical instrument, especially one made from a skin stretched over the end of a hollow tube or bowl, played by hitting with the hand or a stick. Example: The women are dancing with the rhythm of the drum. Meaning: It is a set of drums and cymbals played by one person. Example: This is a very new drum key. Meaning: It is a large bronze disk, of Asian origin, having an upturned rim, that produces a vibrant, hollow tone when struck, usually with a stick or hammer that has a padded head. 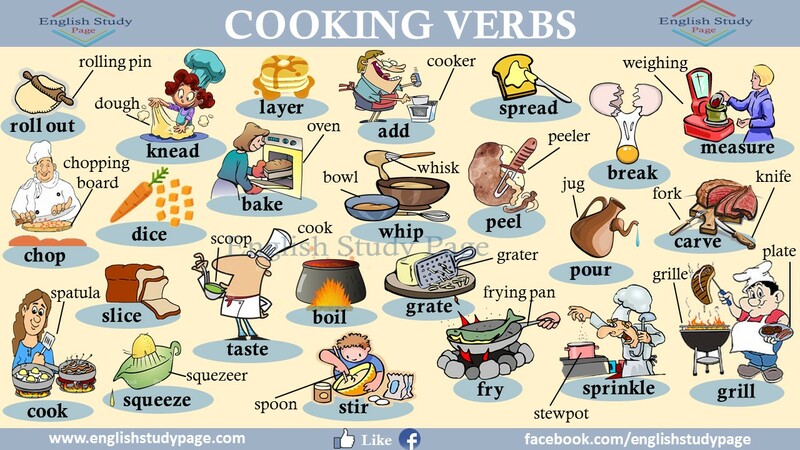 Example: I heard a random sound similar to a gong. Meaning: It is a small drum with twisted wires stretched across the bottom that shake against it when it is hit. Example: I saw a snare drum at the school last week. Meaning: It is a percussion instrument resembling a shallow drum with small metal disks in slots around the edge, played by being shaken or hit with the hand. Example: Where is the trambourine sold? Meaning: It is a musical instrument consisting of flat wooden bars of different lengths that are hit with sticks. Example: We are so enchanted by the sound of the xylophone. Meaning: It is a musical instrument consisting of a thin metal bar bent into a triangle shape that is hit with a metal bar to make a sound. Example: I am playing the triangle instrument. 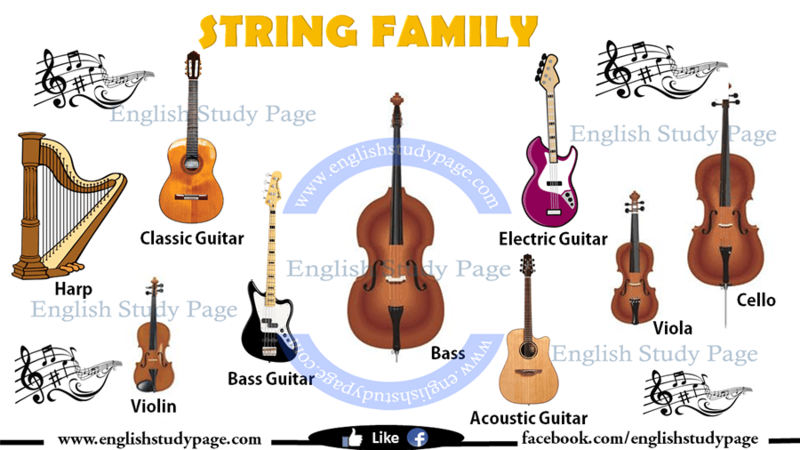 String instruments are musical instruments with a set of strings that vibrate to produce sound when they are pulled, hit, or rubbed with a bow. Example: The cello is so large. Therefore people generally hold it between the knees instead of under the chin. Meaning: It is a musical instrument with six strings and a long neck, played with the fingers or a plectrum. Example: Do you like playing the guitar? Meaning: It is an ordinary guitar, which produces its normal sound through the sounding board and is not amplified in any way. Example: What is the differences between the guitar and the acoustic guitar? Meaning: It is an electrically amplified musical instrument having four or more heavy strings, held like a guitar and usually played by plucking or striking the strings with the hand. Example: There will be a Bass Guitar Show next week in London. Meaning: It is the classic form of the guitar; a six-stringed instrument with a waisted body and a central sound hole. 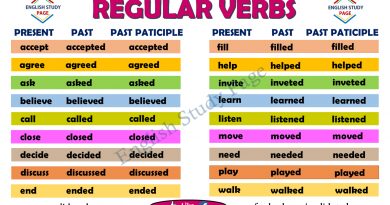 Example: You should practise the classic guitar every day for learning. Meaning: It is a guitar equipped with electric or magnetic pickups that permit its sound to be amplified and fed to a loudspeaker. Example: Electric guitars are easy to play. Meaning: It is a large, wooden musical instrument with many strings that you play with the fingers. Example: Do you know how the harp is played? Meaning: It is a small guitar or banjo with four string. Example: How many strings do the ukulele have? Meaning: It is an instrument of the violin family, larger than the violin and tuned a fifth lower. Example: The viola is considered to be the tenor voice of the string orchestra. Meaning: It is a wooden musical instrument with four strings that is held against the neck and played by moving a bow across the strings. Example: He is going to a violin recital now.